Adrenalean (UPDATED 2019) – Does it Really Work? Adrenalean – Does it Really Work? Currently somewhat of a mystery product, Adrenalean has made promises to it’s users that it can suppress appetite while at the same time giving the user a lot of energy. If you wanted to purchase this product however it may be hard to find, as not only is it disappearing from online retailers, but the company doesn’t even have a page for the product anymore! So what is the story behind Adrenalean, or what was it? 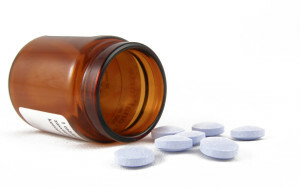 In 2019 a lawsuit was filed against Adrenalean‘s manufacturer for false advertising. So at some point in time, someone realized this wasn’t the miracle pill it claimed to be. We dug a bit deeper to see what else we could find out about this product. The maker of Adrenalean is a company from Pennsylvannia called BioRhythym. BioRhythym is known for making various health and wellness supplements. Examples of their areas of focus include diet and energy, anabolics, pre-workout and protein to name a few. Adrenalean can be purchased online from retailers such as GNC and Amazon, however other websites such as BodyBuilding.com no longer carry this product. Adrenalean works through a system called the Lipotonic Delivery System (LDS). This works by balancing out the pH levels in the stomach, allowing for faster absorption. 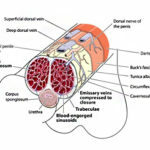 So when a capsule gets swallowed, the contents of it can be absorbed much faster than with a regular diet pill. At the same time Adrenalean has isotonic properties, meaning that it also supplies the body with salts lost during physical activity. Add all this together and the user should supposedly be bursting with energy without the need to eat. It’s too bad these are just claims, and that not all users found the results as typical. While marketing itself as an appetite suppressant, a lot of the ingredients in Adrenalean may be classified as either stimulants or having stimulant-like properties. Because of this it’s advised that this product is not recommended to people who are sensitive to stimulants. Other ingredients like Yohimbine may result in kidney and heart complications, as well as Hoodie gorinni, which may result in causing liver problems. Caffeine anhydrous: A powdered form of caffeine. Helps with mental clarity and focus, as well as temporarily boosting energy and metabolism. Hoodia gordinni: Coming from a cactus in southern Africa, it is believed that it can help suppress appetite, although studies have shown this to be more in the case of the short-term. It has not been evaluated by the FDA in regards to it’s claimed effectiveness. Synephrine: Show to increase energy levels, this ingredient has also lead to cases of cardiovascular problems and even stroke. Yohimbine: Known to help men with erectile dysfunction and libido issues, this ingredient is also believed to help burn fat. Calcium carbonate: A fatty acid that is claimed to help raise the levels of energy in it’s users. Sodium bicarbonate: A fatty acid that is claimed to help raise the levels of energy in it’s users. Magnesium sterate: A fatty acid that is claimed to help raise the levels of energy in it’s users. Possible adverse effects from this product may include the following: Jitteriness, headache, insomnia, anxiety and rapid heart rate. For more information on diet pills with all natural ingredients, check out the top 10 list. 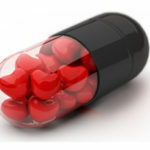 Unlike some other diet pills, this one doesn’t need a doctor’s prescription to be obtained. 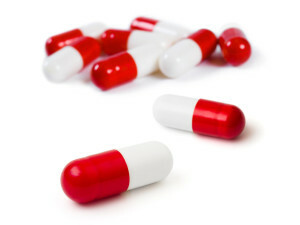 In 2019 a man in California filed a lawsuit against Adrenalean, claiming that not only did the product not work as advertised, but that one of it’s key ingredients, hoodia gordinni wasn’t even in the product. 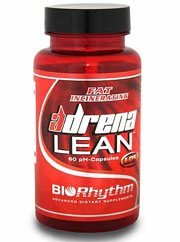 Since then Adrenalean has been increasingly hard to find, with former retailers such as BodyBuilding.com discontinuing it’s sell of the product, as well as Amazon.com only carrying it in very limited amounts. If you go on BioRhythm’s website right now you will see that Adrenalean LDS is still listed. But when you click on it, it leads you to a blank page. Even the maker of the product knew something was wrong and wants to pretend it never happened. This isn’t even mentioning that there are ingredients in Adrenalean that may cause problems with the heart (yohimbine) and liver (hoodia gordinni). So between potentially dangerous ingredients to ingredients that may not even be there at all, there’s more than enough to consider about this product. This product had a lawsuit against it fairly recently and it doesn’t even exist on the company’s page anymore. Is there anything more that needs to be said? Not having a page on the maker’s own website is a pretty telling sign that there’s something wrong with a product. From the questionable ingredients, to the possible adverse effects to a recent lawsuit, there’s plenty wrong with this product to be aware of. These are things that you shouldn’t have to think about when buying a product from a company. Better products on the market don’t have lawsuits filed against them.